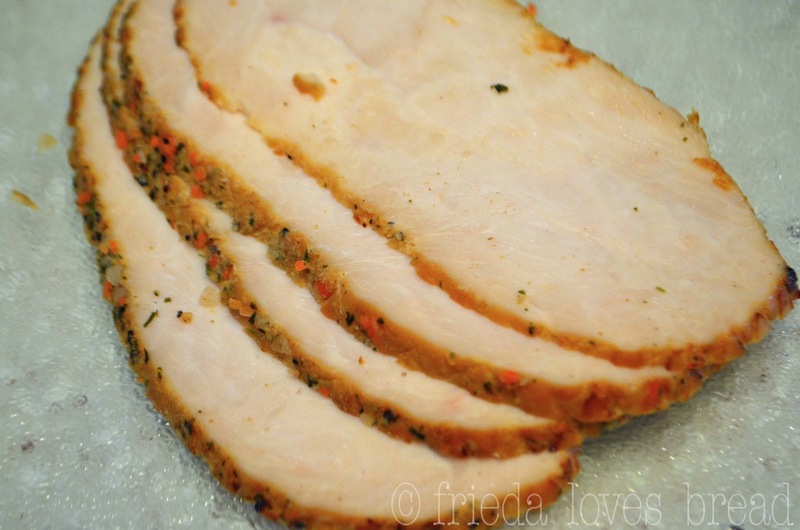 Did you know that Boar's Head certified heart-healthy deli meats? EverRoast® Oven Roasted Chicken Breast and No Salt Added Oven Roasted Turkey Breast are the two of the newest meats to join the ranks of dozens of products from Boar's Head that are good for your heart. I was invited to try one of their meats, make and review a recipe for this post. Living a heart healthy lifestyle means making smart food choices. It means choosing lower sodium, calories, and saturated and trans fats. For a 2 oz serving of Boar's Head EverRoast® Chicken, it is 50 calories, .05 g of fat, and 440 mg of sodium. You may think that's a lot of sodium, but compare this to some other meats in the store, and you might be surprised! 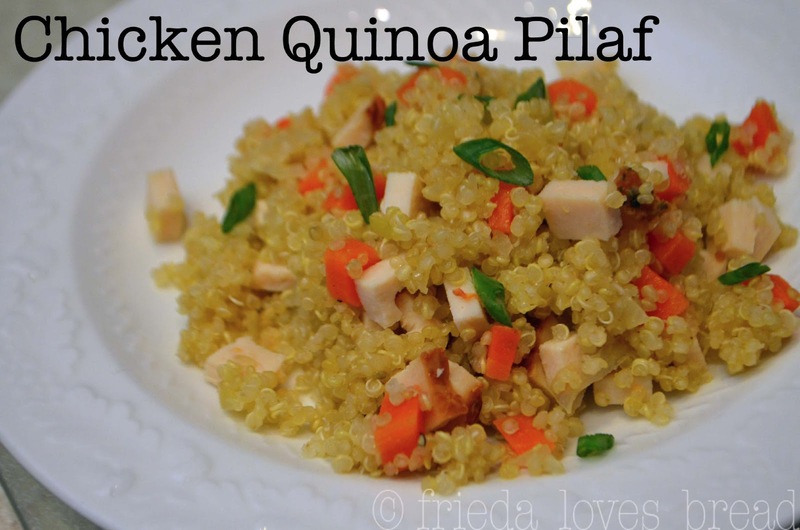 I selected to make Chicken Quinoa Pilaf, a recipe you can find on Boar'sHead.com. I have loved the nutty taste and texture of quinoa and was excited to try it in this recipe. 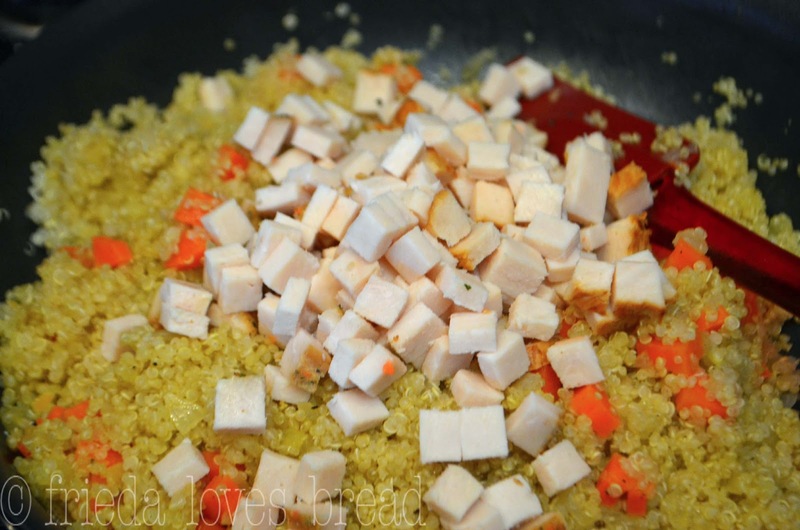 Diced onion and carrots are sauteed in olive oil until tender. 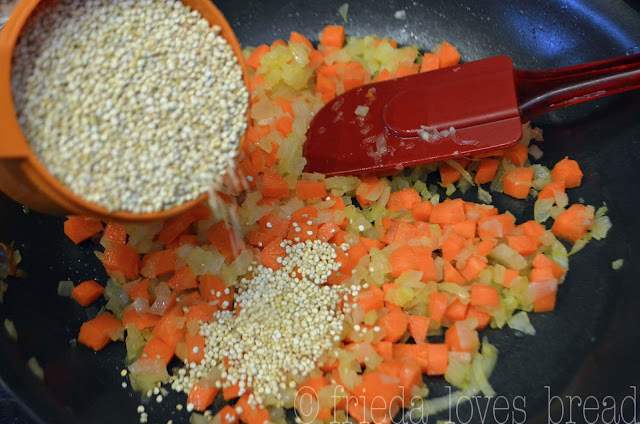 The quinoa is toasted for a minute or two in the veggies to bring out more flavor. 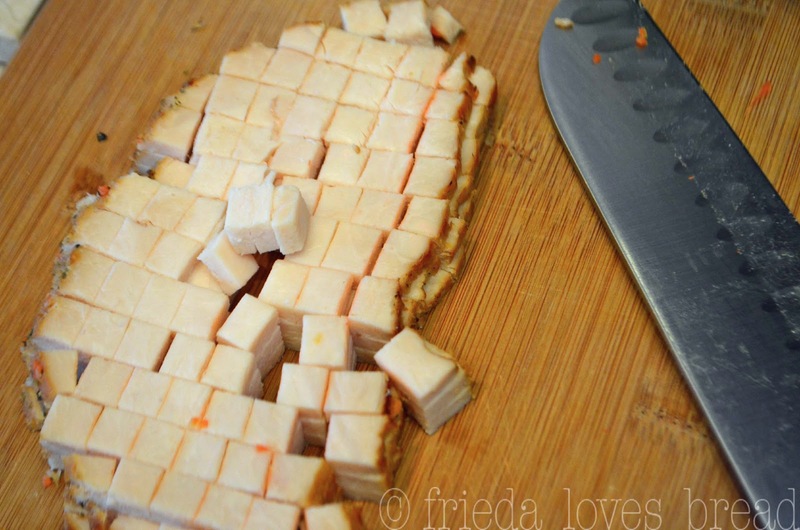 I asked the gal behind the deli counter to cut the slices about 1/4" so I could dice it into this recipe. No fat, low sodium chicken stock is added to the mixture, brought to a boil, reduced to simmering, and cooked with a lid for 20 minutes. This process is like cooking rice. All the liquid should be absorbed and the heat turned off. Add the chicken (and golden raisins, if desired), cover and let sit covered for 10 minutes. The result? Not too bad. I loved the taste of the chicken alone; it wasn't over salty like a ham and had a good roasted flavor. The colors of this dish were pleasing and the overall ingredients were simple and easy to prepare. However, next time, I would cut down the amount of onions in this dish in half or more. There is way too onion much for my taste, but you may like it. With the EverRoast® Chicken, this pilaf side dish becomes a main dish that is great paired with a green salad and some mixed fruit for dessert. Try some of Boar's Head certified heart-healthy deli meats into your next meal! 1 c. green onion, finely diced. In a heavy, medium sized saucepan, heat oil on medium. Add yellow onion, celery and carrots, Cook, stirring frequently, until the vegetables are soft (about 4-5 minutes). 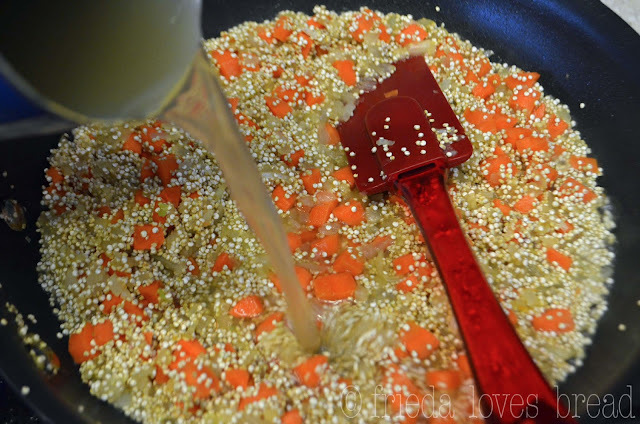 Add quinoa and pepper and continue cooking, stirring vigorously, until the grain is coated in the oil and smells toasted (about 1 minute). Add the chicken stock, bring to a boil, reduce to simmer and cover. Cook until most of the liquid is absorbed (about 20 minutes). Turn off heat. Add raisins and EverRoast® Chicken, cover and let sit for 10 minutes. Place in a serving dish and top with green onion. I made this up last night. It was quick and easy to do but I felt it lacked in flavor. I did substitute shallots for the onion but that was the only change. I am not a salt user to begin with and I know the idea is to keep this healthy but it needs something to make it zing. :-( there was quite a bit left as it was only the two of us eating so I am thinking of scrambling up a couple eggs and turning it into a mock fried rice with a little light soy sauce. I did love how easy this was and with a few modifications kmow it will go into rotation. I agree it is simple and needs "something else." All I could taste was the onion. I love your suggestion to add scrambled eggs and a little soy sauce to brighten it up a bit.